My father never cooked a meat without some kind of marinade. He always used a slew of ingredients: salt, pepper, Season-All, Cajun seasoning, vinegar, olive oil, liquid smoke, Worcestershire, hot sauce, onions, lemons... I'm pretty sure this isn't a complete list, but I've honestly forgotten the rest! It always tasted amazing, but the long list of ingredients was definitely a detriment whenever replicating the marinade. One day, we were out of vinegar and he asked me to grab some Italian dressing instead; I was surprised when I couldn't taste the difference despite the substitution. The same thing happened when he substituted barbecue sauce instead of liquid smoke... and that's when the wheels in my head started turning. 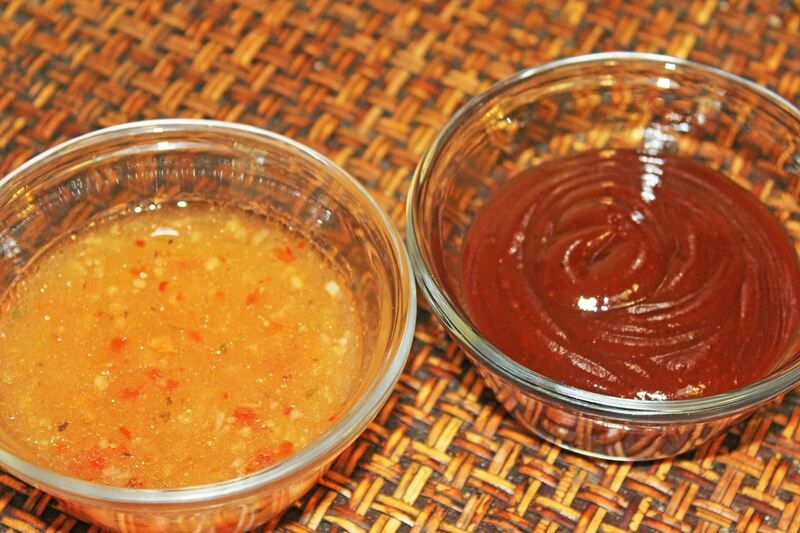 Using these two ingredients, I would be able to create something close to my father's famous marinade—with far less hassle and only two ingredients! The oil, herbs, and seasoning in Italian dressing, coupled with the tangy, smoky richness of barbecue sauce, create a complex and savory flavor that compliments any protein. Tenderize: Salad dressings contain acids like vinegar and lemon juice; these ingredients aid in softening meat fibers—which is especially important with less expensive cuts of meat. Additionally, the oil in salad dressing also helps maintains the moisture and tenderness of the meat during cooking. Flavor: Barbecue sauces come in a variety of seasonings, smokiness levels, sweetness levels, and heat. When you allow your protein to marinate in barbecue sauce before cooking, your result is exponentially more flavorful than brushing the sauce on during or after cooking. 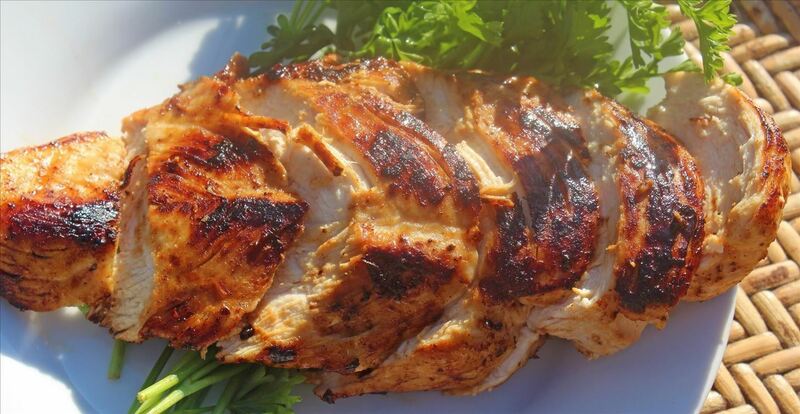 The marinating ratios vary depending upon the protein's ability to absorb the flavors of the BBQ sauce without it overwhelming the natural flavor of the protein. Because these meats are heartier, they can handle the heaviness of the BBQ sauce flavor without being overwhelmed by it. The equal ratio of the Italian dressing provides an acidic counterpoint to the strong sweetness and smokiness of the BBQ, balancing the flavors. The herbs and spices of the Italian dressing compliment poultry so well that many chicken recipes call for this marinade all on its own. If chicken is the star of your dish, the subtle BBQ flavors will emerge and compliment any side dishes. The oil, herbs, and tangy flavor of vinegar in the Italian dressing will bring out the flavor in most types of seafood. Due to its delicate nature, fish only needs a small amount of barbecue sauce—too much is powering. Always begin by seasoning your protein with salt and pepper. If you take a moment to press the seasoning into both sides of your meat, it will act as a "rub" and hold its own amongst the marinade that is to follow. 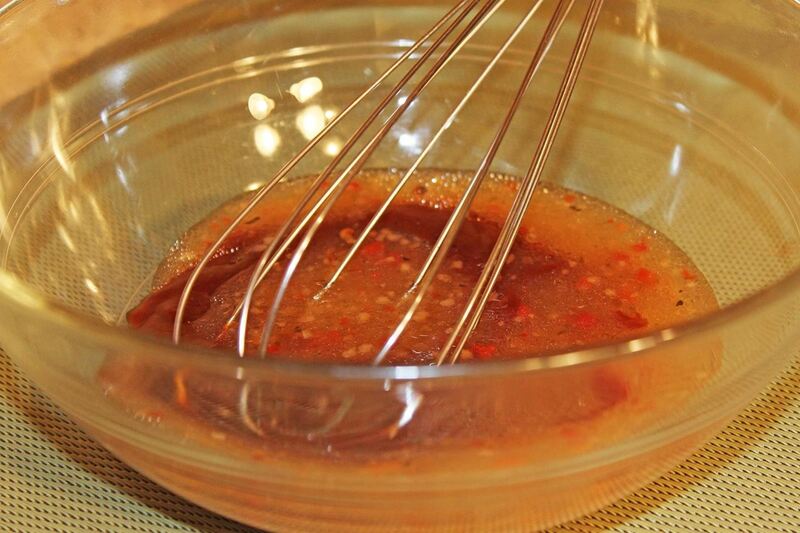 This particular marinade is an emulsion, or a combination of liquids that are normally un-mixable (such as oil and water). Even after you mix them, they may separate. It's okay; the emulsion doesn't have to be permanent for the flavors to penetrate and work effectively. 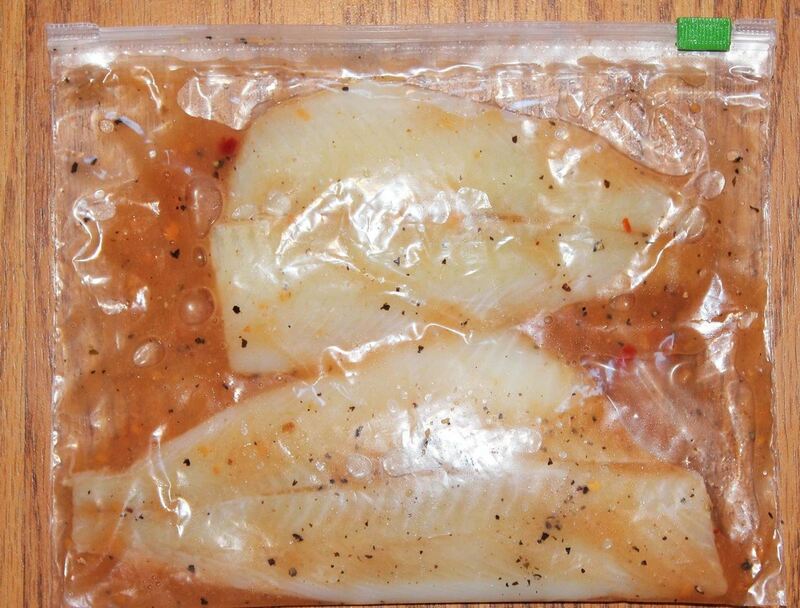 The easiest way to marinate is to keep resealable plastic bags on hand. Not only can you continue to mix your marinade while in the bag, but it also allows for easy storage if you want to marinate your meat a day or two in advance. This guideline outlines the optimal amount of time that different types and cuts of meat should marinate. It's important to note that marinating should always occur in the refrigerator and never at room temperature, as bacteria multiplies much faster at warmer temperatures. 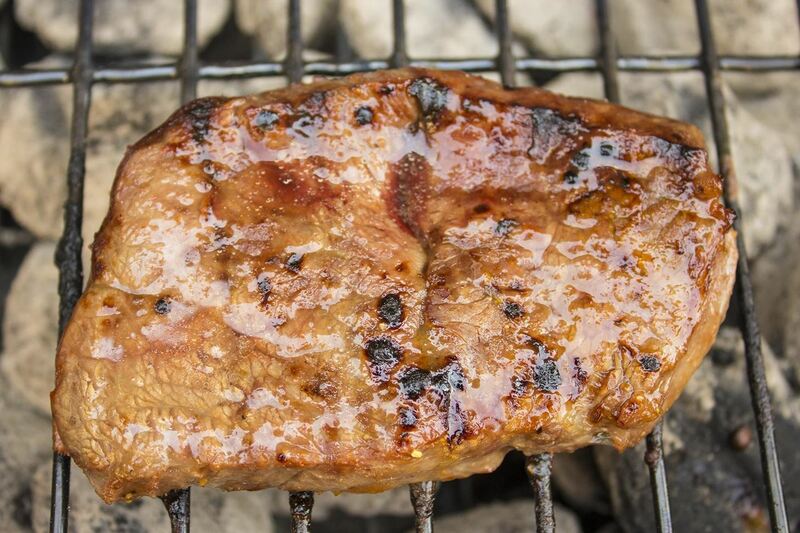 In my opinion, marinated meats cook best on a grill or over an open flame because the high heat caramelizes the juices on the surface of the protein while adding a smoky profile. For chicken, pork, and beef, sear your meat on both sides then let the meat cook to temperature. Shrimp and other shellfish (such as lobster) can cook directly on the grill. Fish filets are much more delicate and require either a plank or foil to cook on; otherwise, the delicate flesh will stick and tear against the grill grates. As for pan-frying, bring cooking oil to high heat in your pan then sear your meat for a few minutes on both sides until the meat reaches your preference of doneness. (Obviously, chicken needs to be completely cooked; for pork, you have the choice of cooking to medium, medium-well, or well done—we dispel the myth of pork needing to be well done here.) For extra flavor, you can add a pat (2 Tbsp.) of butter to the pan and baste your meat. For thicker cuts, you can put the pan in the oven (set at 350°F) in order to cook your meat to temperature without over-searing. If you have a meat thermometer, you can gauge the internal temperatures according to this guide by the U.S. Department of Health. I should mention that, in the end, there is no substitute for all the bells and whistles of the individual ingredients of my father's famous marinade; however, if you keep these two items in your pantry, you will always have what's necessary to elevate the texture and flavor of your protein.